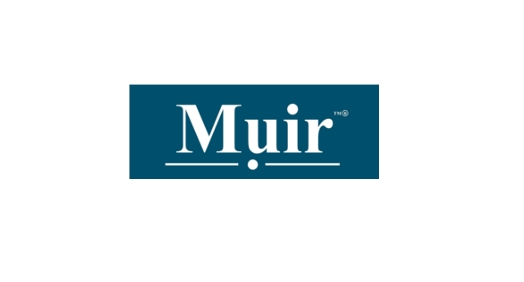 It was the third and final night at the beautiful Dairsie Castle for the teams from Muir Group. Team Challenge Company came with a twist, in the form of Generation Game. It was definitely shaping up to be a good night and we'd only just heard the team names! Team Sloshed Already said it all! 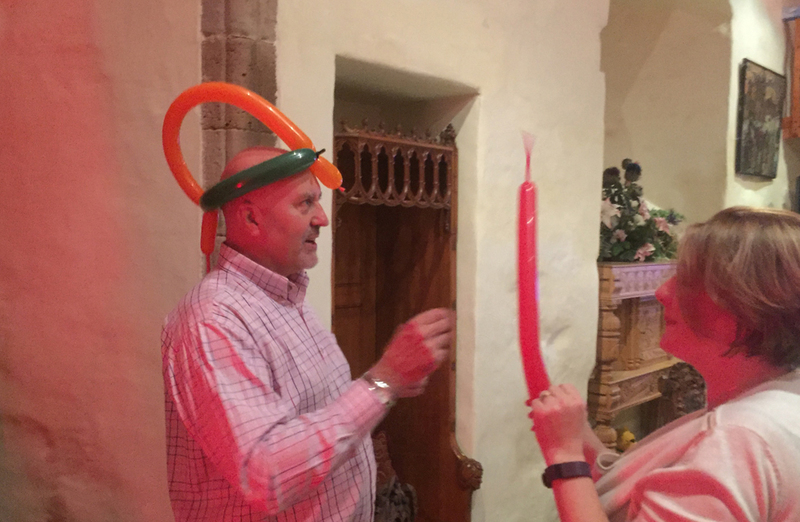 We started the first round with an ice breaker, Big Willy Little Willy, which had the teams guessing the correct heights of some very famous Willies, even grounds keeper Willie was there! Slosh Donkeys were the victor in the icebreaker, but could they keep it up? 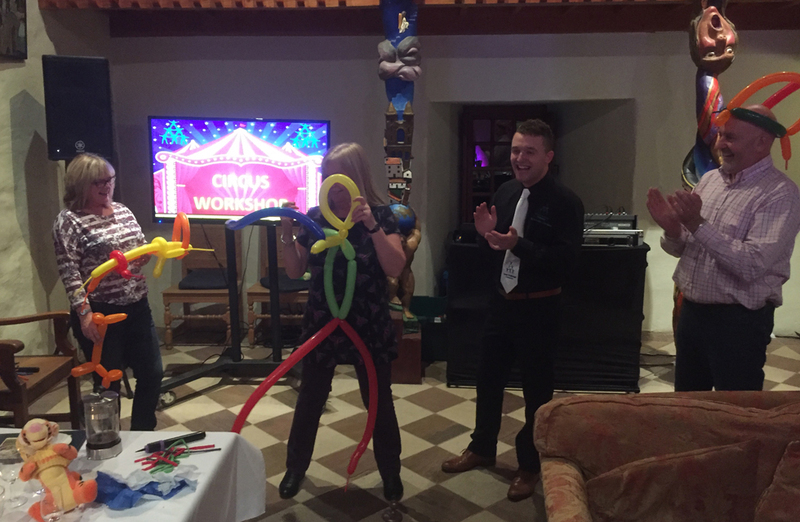 We moved onto the Circus Skills round, where there were some great attempts, but there was only one clear winner mastering the plate spinning and juggling -Team Triumph. After a short break we cracked on with a quick fire round called Flop It, with all competitors attempting to land a heavy ball on top of a platform from distance. Sounds easy, but all teams failed! Dave stepped up to the line and smashed it first time... shame it was practise! As we got into the game for points it was Dave from Team Slosh Donkeys that gave his team the victory. 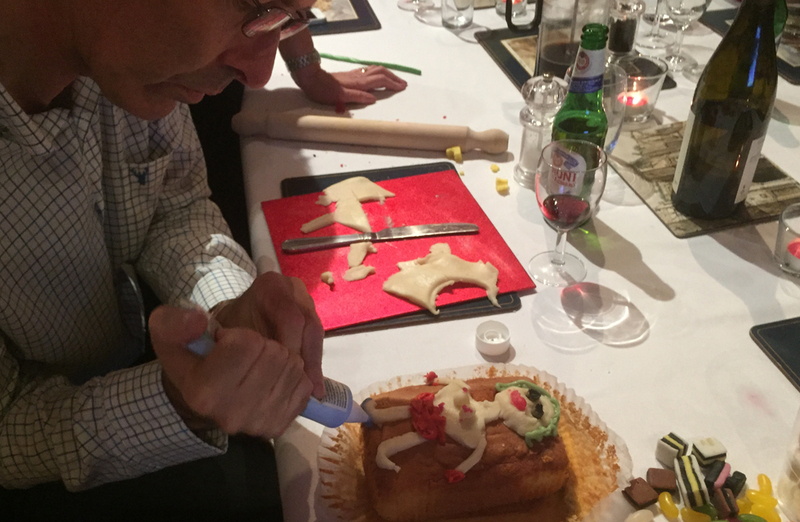 The next challenge laid out for the teams was to design a cake in the form of a superhero of their own creation using cakes, marzipan, icing pens and sweets. Team Triumph excelled at this challenge (they'd clearly been watching too much bake off) with an awesome superhero and some outstanding powers. Meanwhile, Team Slosh Donkeys cake left a lot to be desired, however Team Already Sloshed pulled out a cracker with a Madonna type super hero! In the end, the points had to go to Team Triumph with such a creative design. After a short break we cracked on with a quick fire round called Flop It, which had all competitors attempting to land a heavy ball on top of a platform from distance. Sounds easy!! But all teams failed until Dave stepped up to the line and smashed it first time... shame it was just a practice! As we got into the game for points it was Dave from Team Slosh Donkeys that gave his team the victory. 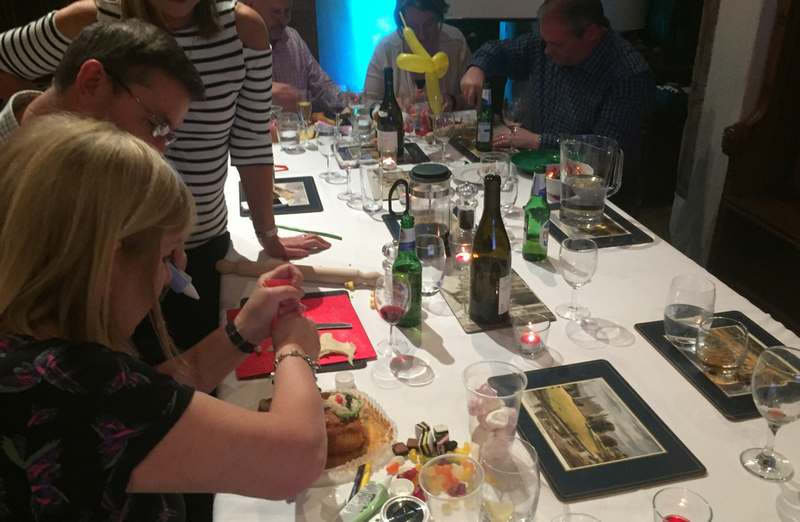 Last but not least was the peel off round, seeing teams rapidly peeling two spuds as quickly as possible (Dave somehow misunderstood the instructions and ate half a raw spud!) 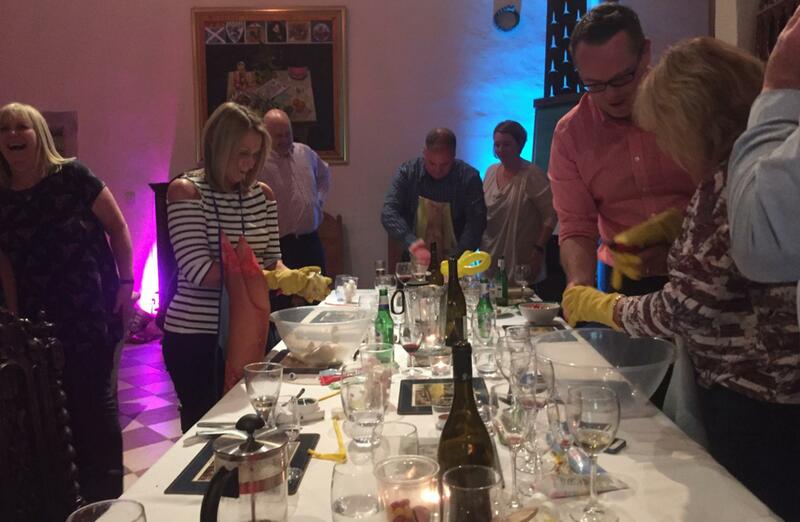 but none the less it went down a storm, with Team Already Sloshed peeling their way to victory! 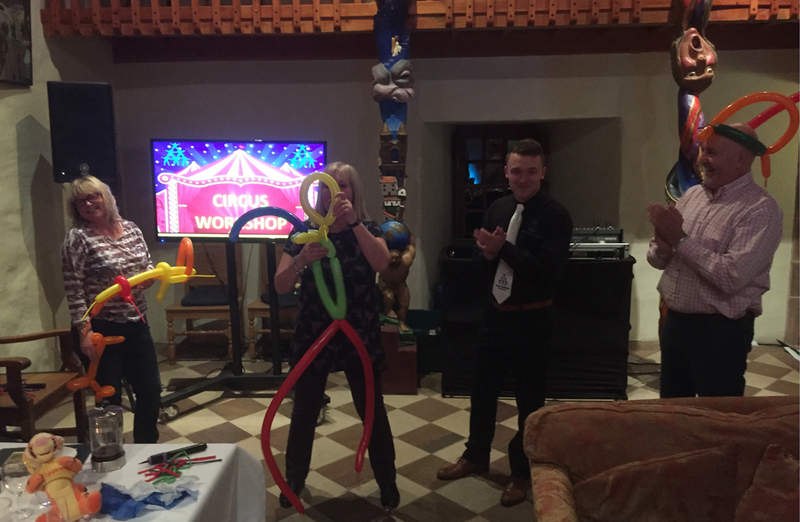 Where there is a winner there has to be a loser, and unfortunately on the evening it was Team Already Sloshed taking home the wooden spoon. Taking home the much sought after Team Challenge Company Trophy was the brilliant Team Triumph! All in all it was a great evening and it was a pleasure to meet such a great group of people, and have such a laugh, hopefully see you all again soon.